Simtek EMS Ltd is committed to providing employees with training tailored to suit the needs of our customers. Formal training for electronics manufacturing techniques, workmanship standards and quality control is performed in conjunction with and certified by the internationally recognised IPC organisation.This includes technical apprenticeships for both school leavers and mature employees. The IPC is a trade association whose aim is to standardise the assembly and production requirements of electronic equipment and assemblies. It was founded in 1957 as the Institute for Printed Circuits. Its name was later changed to the Institute for Interconnecting and Packaging Electronic Circuits to highlight the expansion from bare boards to packaging and electronic assemblies. In 1999, the organisation formally changed its name to IPC with the accompanying tagline, Association Connecting Electronics Industries. The IPC is accredited by the American National Standards Institute (ANSI) as a standards developing organisation and is known globally for its standards. It publishes the most widely used acceptability standards in the electronics industry. J-STD-001 is recognised globally for its criteria on soldering processes and materials. This is a must-have for those in the electronics industry with an interest in the process and acceptance criteria for electrical and electronic assemblies. 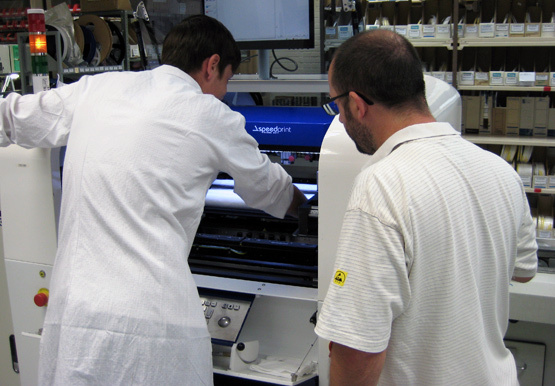 IPC-7711 provides procedures for rework, repair and modification of printed board assemblies. IPC-A-610 is the most widely used electronics assembly acceptance document. Updated with participants from 17 countries providing input and expertise, this document brings the latest criteria to the industry. This is a must-have for inspectors, operators and others with an interest in the acceptance criteria for electronic assemblies. IPC-A-610 is developed in synergy with J-STD-001. This is the most lenient when it comes to allowing potential defects such as found in the toy industry. The quality of solder joints or component positions will not be a priority. The product will not be expected to last very long and often, has to be assembled to a specific price, whilst ensuring it still functions as expected. This is the standard that most Original Equipment Manufacturers (OEMs) request and is typically requested for non-critical electronic assemblies where longer term reliability is desirable, rather than essential. Class 2 does allow for a certain degree of imperfection, for example, surface mount components placed slightly ‘off pad’; this is usually fine electrically and mechanically, but aesthetically can look wrong. This is the highest standard and aimed at more critical PCB assemblies such as those used in the medical industry. A specialist EMS or CEM provider should always manufacture products to Class 3, therefore extra inspection processes are required to ensure that it complies with the standard. Simtek EMS manufacture and inspect all safety critical electronic assemblies to IPC-A-610 class 3.